When you purchase a vehicle with the CARFAX Buyback Guarantee, you're getting what you paid for. With amenities and luxuries befitting a modern day king, this splendorous coach reigns supreme. 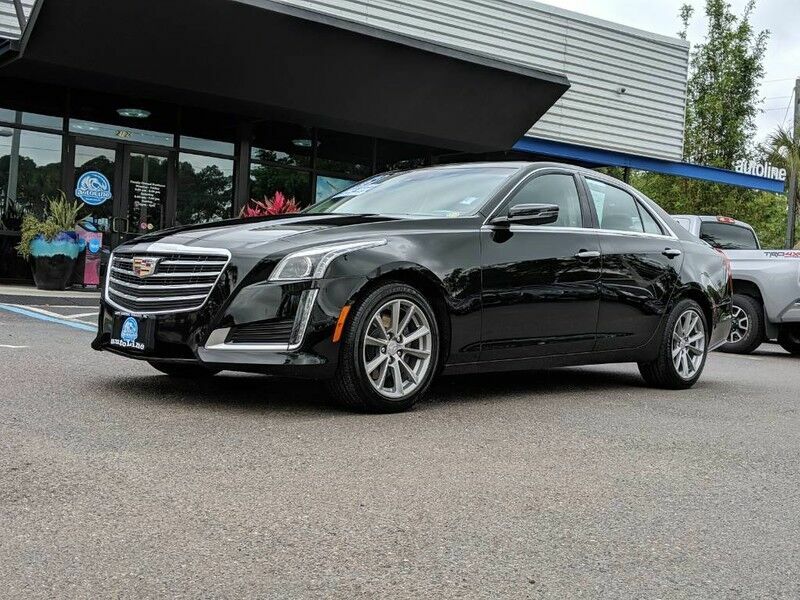 Added comfort with contemporary style is the leather interior to heighten the quality and craftsmanship for the Cadillac CTS Sedan Performance, ease of use and efficiency are just a few reasons you'll love the navigation system that comes with this car. This vehicle is loaded with great features, plus it comes with the CARFAX BuyBack Guarantee. This Chevrolet Equinox offers all the comforts of a well-optioned sedan with the utility you demand from an SUV. You can finally stop searching... You've found the one you've been looking for. Beautiful color combination with Mosaic Black Metallic exterior over Jet Black interior making this the one to own! CARFAX BuyBack Guarantee is reassurance that any major issues with this vehicle will show on CARFAX report. Off-road or on the street, this Jeep Cherokee Latitude Plus handles with ease. The greater your fuel-efficiency, the less your carbon footprint. And with exceptional MPGs, this Jeep Cherokee treads ever so lightly on Mother Earth. Based on the superb condition of this vehicle, along with the options and color, this Jeep Cherokee Latitude Plus is sure to sell fast. This vehicle is loaded with great features, plus it comes with the CARFAX BuyBack Guarantee. The quintessential Chevrolet -- This Chevrolet Silverado 1500 LD LT speaks volumes about its owner, about uncompromising individuality, a passion for driving and standards far above the ordinary. This is the one. Just what you've been looking for. The Chevrolet Silverado 1500 LD LT will provide you with everything you have always wanted in a car -- Quality, Reliability, and Character. This 2019 Nissan Armada comes with a CARFAX Buyback Guarantee, which means you can buy with certainty. This Nissan Armada SL is an incredibly versatile vehicle that is a "must have" for any family. When you purchase a vehicle with the CARFAX Buyback Guarantee, you're getting what you paid for. There are many vehicles on the market but if you are looking for a vehicle that will perform as good as it looks then this Ram 1500 Big Horn/Lone Star is the one! Surprising quality accompanied by a high level of performance...this Patriot Blue Pearlcoat on Diesel Gray/Black Ram 1500 Big Horn/Lone Star could end up being the perfect match for you. You could keep looking, but why? You've found the perfect vehicle right here. Your buying risks are reduced thanks to a CARFAX BuyBack Guarantee. Excellence, luxury and stature are just a few of the pillars this car is built upon. Simply put, this Four Wheel Drive is engineered with higher standards. Enjoy improved steering, superior acceleration, and increased stability and safety while driving this 4WD Ram 1500 Big Horn/Lone Star. This is the one. Just what you've been looking for. This vehicle is loaded with great features, plus it comes with the CARFAX BuyBack Guarantee. Off-road or on the street, this Chevrolet Equinox LT handles with ease. The Chevrolet Equinox LT is economically and environmentally smart. Chevrolet clearly delivers on its promise to provide a fuel-efficient vehicle that has the great qualities you need in a vehicle. Just what you've been looking for. With quality in mind, this vehicle is the perfect addition to take home. Do so much more with one vehicle. This Jeep Compass gives you everything you need an automobile to be. You could keep looking, but why? You've found the perfect vehicle right here. Just what you've been looking for. With quality in mind, this vehicle is the perfect addition to take home. This is about the time when you're saying it is too good to be true, and let us be the one's to tell you, it is absolutely true. Your buying risks are reduced thanks to a CARFAX BuyBack Guarantee. This is about the time when you're saying it is too good to be true, and let us be the one's to tell you, it is absolutely true. Surprising quality accompanied by a high level of performance...this Silver Ice Metallic on Jet Black Chevrolet Colorado 2WD LT could end up being the perfect match for you. This is the one. Just what you've been looking for. This 2019 Ram 1500 comes with a CARFAX Buyback Guarantee, which means you can buy with certainty. Take home this Ram 1500 Big Horn/Lone Star, and you will have the power of 4WD. It's a great feature when you need to drive over tricky terrain or through inclement weather. This 2019 Chevrolet Colorado comes with a CARFAX Buyback Guarantee, which means you can buy with certainty. Want to brave the road less traveled? You'll have the 4WD capabilities to do it with this vehicle. You've found the one you've been looking for. Your dream car. The 2019 Chevrolet exterior is finished in a breathtaking Silver Ice Metallic, while being complemented by such a gorgeous Jet Black interior. This color combination is stunning and absolutely beautiful!